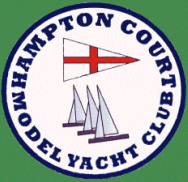 The Club shall be called the Hampton Court Model Yacht Club (hereinafter referred to in these rules as “the Club”). The objectives of the Club shall be to promote and facilitate the sailing and racing of model yachts and to encourage the designing and building of model yachts. The Club is a non-profit making organisation. Any profits or surpluses will be used to maintain or improve the Club’s facilities. 3.1. The Club shall consist of Full, Associate, Junior and Honorary members. (a) Full Members shall enjoy all the privileges of membership, namely; if affiliated to the MYA, the right to take part in races organised by the Club, the right to propose and second motions for consideration at a General Meeting; the right to propose and second candidates for election as Officers or Committee Members; the right to propose and second candidates for Club membership; and the right to a vote in respect of each proposition at a General Meeting of the Club. (b) Associate Members shall enjoy all the rights of Full Members EXCEPT that they may not enter races and shall have no votes in respect of propositions at General Meetings. (c) Junior Members shall be aged between 12 and 18 years and shall enjoy all the rights of Full Members EXCEPT THAT they shall not have a key to the boathouse; they shall not have the right to propose and second Members for election as Officers or Committee Members; they shall not have the right to propose or second candidates for membership; they shall not have the right to propose, second or vote on any proposition at General Meetings. They shall not have the right to be on Club premises unless a Full, Honorary or Associate Member is present. Whilst on the Club premises or whilst sailing, the welfare of a Junior Member shall remain the responsibility of the parent, guardian or other adult family member also required to be present at the time. (d) Honorary Members shall enjoy all the privileges of Full Members. 3.2. A candidate for membership shall forward to the Hon. Membership Secretary (via the Hon. Treasurer) a completed application for membership in the form from time to time prescribed by the Committee. The Committee shall consider the application and election shall be by majority vote of those Committee members present. An unsuccessful candidate may not be informed of the reason for rejection of their application. 3.3. Honorary Members may, subject to the prior recommendation of the Committee, be elected by Members at a General Meeting. 3.4. Every Member, upon election and thereafter, is deemed to have notice of, and undertakes to comply with, the Club Rules. Any breach of these Rules or any conduct which, in the opinion of the Committee, is either unworthy of a Member or otherwise injurious to the interests of the Club, shall render a Member liable to disciplinary action by the Committee, which may include expulsion or non-renewal of membership. Every endeavour will be made to provide facilities for Members to berth their yachts and keep their waders and other yachting gear in the Club premises but no absolute right exists for the use of such facilities. Berthing boats on Club premises shall be entirely at the discretion of the Committee and subject to the payment of the appropriate berthing fees. The Committee will use its reasonable endeavours to enable Members to berth one boat of each class for which a class fee has been paid. Any Member’s berthed boats in excess of the number of berths that Member has been allocated/allowed must either be removed or, provided space is available, an additional berthing fee paid for each of such boats. In order to maintain adequate storage facilities both for existing Members’ actively used yachts and for active new Members’ yachts, the Committee may, at their discretion require yachts that have not been sailed in the preceding 12 months to be de-rigged and racked or removed from the Club premises. The berthing of boats on Club premises will be restricted to classes of boats (including free sailing boats) that have been adopted by the Club for racing. Any boats not belonging to an adopted class may not be berthed on Club premises. 5.1. Upon election to the Club as a Member, the Member shall pay the then current annual subscription appropriate to their class of membership and, where appropriate, the then current berthing and class fees due and, again, on each succeeding January 1st, the appropriate amounts for the forthcoming year. The rate of each of these fees shall be proposed by the Committee to the members at the Annual General Meeting each year. Any proposed changes must be approved by a majority of those present at that meeting and entitled to vote. The deposit to be paid by Full, Associate or Honorary Members for the use of a boathouse key shall be determined by the Committee. The key will remain the property of the Club and shall be returned to the Hon. Secretary upon cessation of membership. 5.2 Members who have not paid their annual subscription and/or other fees due, by the 31st March cease to be members on that date. 5.3 A Member whose current year's subscription is unpaid may not vote at any Meeting nor take part in any race organised by the Club. 6.1. The Annual General Meeting of the Club shall, if at all possible, be held in October each year. 6.2. An Extraordinary General Meeting (E.G.M.) may be called by the Committee or on the written application of ten Members being made to the Hon. Secretary. Details of the motions or business to be considered by the E.G.M. must accompany the application and the meeting shall confine its discussions to the matters advised to Members in the Notice of Meeting. 6.3. The Hon. Secretary shall give Members at least fourteen day’s notice of a General Meeting by writing to them at the last email or postal address known to the Club. The Hon. Secretary shall make reasonable time allowance for delivery of the Notice by post or such other means considered appropriate. The Hon. Secretary shall not be held responsible for non-delivery of the Notice to any member. 6.4. The Chair at any General Meeting shall be taken by the Chairman of the Committee (see Rule 7.1) or, if that person cannot act, by another member of the Committee. 6.5. In the case of the Annual General Meeting (A.G.M. ), no business, except the passing of the Club’s accounts and the election of the Officers, other Committee members and any business that the Committee may order to be inserted in the notice convening the Meeting, shall be discussed at such a meeting unless notice thereof be given in writing by a member to the Hon. Secretary at least twenty eight days prior to the date of the A.G.M. 6.6. All motions for consideration by a Meeting shall be proposed and seconded and shall be decided by a simple majority of the votes cast by those Members present. If necessary the Chairman of the Meeting shall have a casting vote. 7.1. The Officers of the Club shall be the Honorary Secretary, Honorary Treasurer, Honorary Membership Secretary and Honorary Sailing Secretary. These Officers and up to a further four Committee members elected at an Annual General Meeting shall form the Management Committee of the Club (referred to in these Rules as `the Committee') and shall hold office until the termination of the next following A.G.M.. The Committee, at its first meeting following the A.G.M., shall elect one of their number to chair its meetings for the ensuing year (referred to elsewhere in the Rules as 'Chairman of the Committee'). The Committee may co-opt Full or Honorary Members to fill any vacancies that may arise between A.G.M.’s. The quorum for conducting Committee business shall be three. 7.2. The Officers of the Club and other Committee Members shall retire annually at the A.G.M. but shall be eligible for re-election and there shall be no limit to the number of times they may be re-elected. Candidates for election to the Committee shall be those members of the retiring Committee wishing to offer themselves for re-election and such other Full or Honorary Members whose nominations (duly proposed and seconded in writing) shall have been received by the Hon. Secretary at least twenty eight days before the date of the A.G.M. in each year. Any such nominations, together with the names of the proposer and seconder shall be displayed in the Club premises at least fourteen days prior to the date of the A.G.M.. In circumstances where a ballot is necessary to determine which candidates are elected, such a ballot shall be a secret ballot with tellers appointed to determine the result. Where such a situation does not arise, candidates shall be deemed to be elected if a simple majority of those present at the A.G.M. and entitled to vote, vote in favour of such election. If necessary, the Chairman of the Meeting shall have a casting vote. 7.3 The affairs of the Club shall be wholly managed by the Committee in accordance with these Rules. The Committee shall apply the funds and property of the Club solely for the Club's benefit, or for benevolent or charitable purposes as decided by the Committee and reported to the next General Meeting. The Committee may, if it deems it to be in the best interests and efficient running of the Club, re-allocate any specific elements of any Committee member’s duties to another Committee member or Club member co-opted under Rule 7.1. Such re-allocation of duties shall be reported to Members at the next General Meeting. The Committee may, if it feels it necessary, appoint a separate Class Captain for any adopted class of yacht whose role, under terms of reference set out by the Committee through the Hon. Sailing Secretary, will be to promote the class within the Club, encourage skippers in that class to participate regularly in racing at the Club and to assist in any way which improves the sailing performance of those skippers. Any such Class Captains will report to the Hon. Sailing Secretary. 7.4 The Officers and Members of the Committee shall at all times be kept indemnified by members of the Club against any liabilities properly incurred by them or any one of them on behalf of the Club in pursuance of their duties on behalf of the Club. 7.5 The Committee may, at a General Meeting, propose to the membership the appointment of a Member to the non-executive position of Commodore of the Club; such a proposal shall be dealt with under the terms of Rule 6.6. If approved, such an appointment shall be for a period of 3 years but may be renewed at the end of that and subsequent periods under the terms of Rule 6.6. All property of the Club shall be vested in at least two Trustees who shall be Full or Honorary Members appointed by a General Meeting and who shall instruct the Hon. Secretary to keep the Club's building(s) covered against fire risk, to the extent decided by a General Meeting, by insurance chargeable to the Club. In the event of liquidation of the Club the Trustees shall realise any assets held by or on behalf of the Club. Any assets remaining after the satisfaction of all proper debts and liabilities shall be given or transferred to one or more institution, organisation or club having the same or similar objectives to the Club. The Trustees shall at all times be kept indemnified by the Club against all liability concerning the administration of the trust. The Committee may appoint one or more Club Measurers who, provided they are accredited by the MYA shall, on request, measure yachts and issue measurement certificates in accordance with the requirements of the MYA. Measurement fees shall be determined from time to time by the Committee. 10.1. The financial year shall run from 1st August to 31st July. The Hon. Treasurer shall keep the Club accounts and hold it's monies in bank accounts in the name of the Club (except for small amounts necessary for the Club's day-to-day running). Withdrawal of funds from the bank shall be made on the authority of a signatory or signatories approved by a General Meeting of the Club and notified to the bank in the required form. 10.2. The accounts of the Club shall be audited annually by the Hon. Auditor appointed at the Annual General Meeting of the Club. The Annual Accounts shall be presented by the Hon. Treasurer at the A.G.M. where they shall be open to inspection. The Hon. Secretary shall keep the Club's Minute Book and records and shall attend to correspondence. He shall in accordance with Rule 5.4. send each Member a Notice of Meeting with the Agenda and, in the case of Annual General Meetings. a copy of the Annual Accounts. 12.1. All sailing within Hampton Court Park shall be on the Rick Pond. Sailing on any other pond in the Park and the use of mechanically propelled boats using fossil fuel on any pond in the Park are prohibited by Park Byelaws. 12.2. A programme of racing shall be arranged by the Hon. Sailing Secretary and details shall be posted in the boathouse and advised to Members as early as possible prior to the commencement of the racing season. 12.3. Any Race Officer duties shall be determined by the Hon. Sailing Secretary. 12.4. All racing shall be in accordance with the M.Y.A. Standard Sailing Instructions but the Hon. Sailing Secretary may, in consideration of local circumstances vary the same. He may also waive the requirement for a boat to hold a current class certificate. However, each Member will be expected to ensure that his yacht complies with current class rules. 12.5. No boat may sail, whether in a race or not, unless she has an efficient fender on her bow. To minimise risk of damage by collision all free sailing boats must sail in the same direction whether cruising or tuning up. 12.6 Any Member intending to race at the Club must be affiliated to the M.Y.A. either by having paid the requisite annual fee through the Club or through another M.Y.A. recognised model yacht club to which they also belong. All Members have a joint responsibility to maintain the premises in a clean and tidy condition and to assist in whatever way they can with any working party organised to carry out repair and maintenance to the premises. All Members are urged to observe this Rule which is for the benefit of all. 1) The Club will not accept any liability for any damage to or loss of property belonging to Members. 2) The Club will not accept any liability for personal injury arising out of the use of the Club premises, any other facilities of the Club either sustained by Members or caused by the said Members whether or not such damage or injury could have been attributed to or was occasioned by the neglect, default or negligence of them, the Officers, Committee or Trustees of the Club. 3) Membership of the Club and acceptance of these Rules by the Member will be deemed to constitute consent to the holding of relevant personal data for the purposes of the Data Protection Acts and constitute a legally binding contract to regulate the relationship of the Members with each other and the Club. 15. These rules may be amended at any General Meeting subject to the terms of Rule 6.6.